Santa Monica, CA—July 2, 2018 – The 10th online subscription video-on-demand (SVOD) service from Zone·tv™ – Magellan TV History – is now available on Xfinity X1, bringing one of the largest libraries of history-focused documentaries and series to even more viewers. Just in time for July 4th, viewers can find programs that deep dive into key moments of American history. Year round on Magellan TV History, viewers can also explore world history, ancient civilizations, religion, humanities, armed conflicts and more about the world’s cultures, economies and changing local and international relationships. Xfinity X1 customers can find the service by saying “Magellan TV History” into their X1 voice remote or by finding it within the networks section of Xfinity on Demand. Magellan TV History can be added to X1 customers’ service for $5.99 per month. 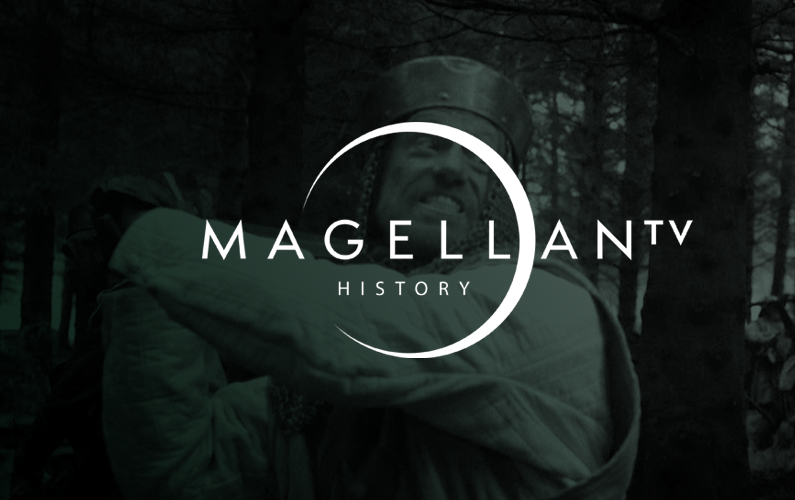 Magellan TV History has been developed by Alliant Content, a leading independent programmer of long-form factual film and television shows across digital platforms. From the rise and fall of empires, to the clash of cultures and the outbreak of world wars, Magellan TV History is curated to super-serve those curious about world history with programs that dive into the great stories that shaped civilization, humanity and the world such as Science vs. God; Deep Wreck Mysteries; and The Day When: Decisions of WWII; The Apollo Experience: Apollo 17; The Ascent of Civilization; Big History with Bryan Cranston; Doomsday WWI; After Braveheart and Rouen to Hiroshima. Zone·tv, taking a quantum leap forward in television, and is the largest provider of SVOD programming to video service providers. For Xfinity X1, the company has launched fitness-focused TouchFit – Georges St-Pierre and FitFusion TV; kid-friendly PlayKids and TumbleBooksTV; nature related Lion MountainTV and Quark TV Science; XiveTV; and Pro-Guitar and Stephen’s Drum Shed for the musically inclined. Zone·tv also produces original, seasonally-focused “pop-up” destinations – Santa Tracker and Halloween Countdown– which includes holiday music, movies, stories and games.